Edward Franklin Perry, Jr. grew up in Natick. He received a wireless microphone as a birthday gift at the age of seven and began entertaining the neighbors on AM radio with songs from a wind-up Victrola. (That very same Victrola now graces the lobby at WATD.) Later, in his junior year in high school, Ed and some friends built a larger and more powerful transmitter and began entertaining Natick and parts of Framingham with rock and roll music on WRAC at 1620 AM. The FCC was not amused and promptly shut down the station. At Amherst College, Ed became a fixture at the college FM station. Later, he became a part-time disk jockey known as The Olde Troll of Rock and Roll at WMRC in Milford. Ed also taught himself radio engineering and in 1970, still in his 20’s, he built 50,000-watt FM station WCIB, then sold it in 1973 to pursue creating new stations in Marshfield, Amherst, Ridgefield, CT and Salem, NH. In 1973, Ed married Carol Ebert with whom he had partnered on several FCC applications for new radio stations. Because their union changed the controlling interest of one of the proposed stations, Ed and Carol may be the only couple in history to require prior approval from the FCC for their marriage! Carol researched the South Shore market and determined that it was a fast-growing yet underserved area that would provide fertile territory for a new radio station. In 1973, Ed petitioned the FCC to add 95.9 as a new FM frequency to Marshfield, and the application was finally approved in May of 1977. In the interim, Ed opened an FCC consulting business called, Educational FM Associates. “Ed FM” ultimately helped more than 300 colleges and high schools obtain FCC FM broadcast licenses. 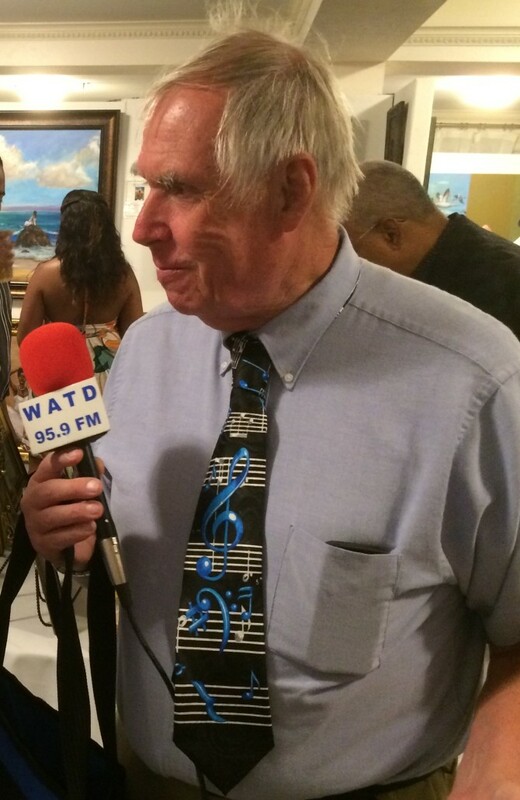 Ed’s station, WATD, 95.9 FM, is one of the most creative, respected and honored stations in the state. It has won more than 20 national Edward R. Murrow awards for news excellence and is one of the few radio stations in America ever to win five of them for national overall news excellence. For ten years, the AP presented WATD its “Bay State Award” signifying the best local news operation in the state. In addition to his management and engineering duties, Ed works in the WATD news department as a writer and field reporter. During the past 20 years he’s received national Murrow Awards for breaking news coverage, news writing, news features, sports features, and best use of sound. In 2006, Ed received a Lifetime Achievement Award from Emerson College. In 2014 he was named “Broadcaster of the Year” by the Massachusetts Broadcasters Association and in 2016 will be awarded an Honorary Degree from Massasoit Community College in Brockton. In 1978 WATD helped to create, and continues to support, The Talking Information Center, our state’s radio reading service for the blind. TIC, headquartered in the WATD building, currently serves more than 30,000 sight-impaired and print-handicapped residents of Massachusetts. Ed and Carol have three children: William, who handles web and social media projects for WATD; Katherine, who works for America’s Test Kitchen, and during her tenure at WATD won several national Edward R. Murrow Awards; and Franklin, a well respected building contractor.